Giving Tuesday is November 27, 2018! Giving Tuesday is a day dedicated to giving back to charity! Brides for a Cause is encouraging everyone to give back to charity with their wedding dress! Donating your wedding dress helps the environment and gives another bride that special “OMG, I FOUND MY DRESS” moment! We accept donations by drop-off or through the mail at all three locations in Portland, Tacoma and Seattle! Don’t have a wedding dress to donate? We would love a small monetary donation to our cause, so that we can continue our mission of recycling wedding dresses for charity! While Giving Tuesday comes around just once a year, we accept monetary donations and dress donations YEAR-ROUND, so if you’re not ready to give up that dress quite yet, we’ll accept it when you’re ready! Just be sure to donate it before its older than 5 years! 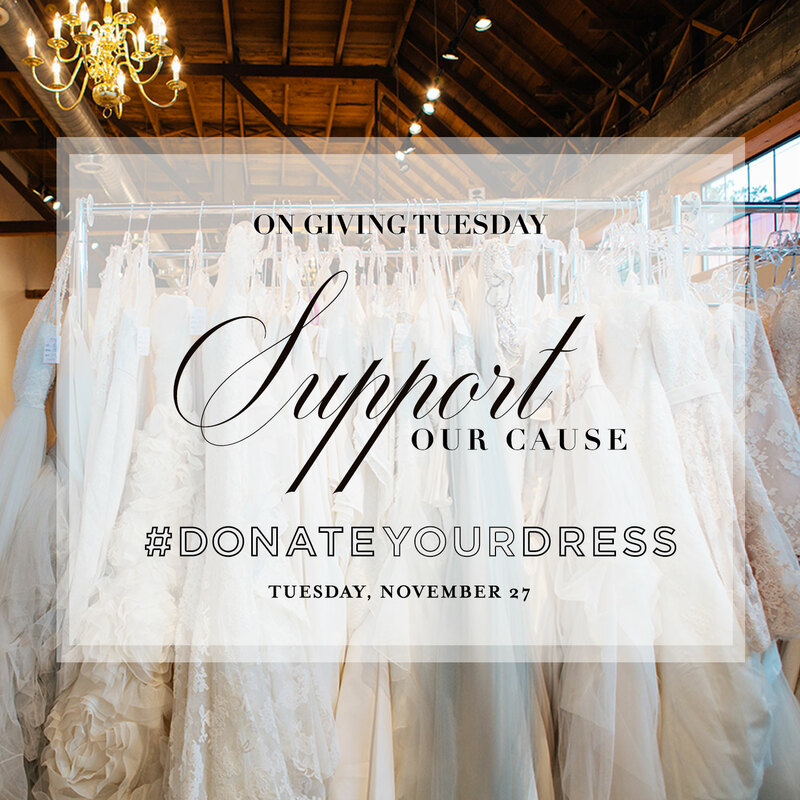 Use the hashtags: #givingtuesday, #donateyourdress or #bridesforacause to show your support this Giving Tuesday!